Join our email list for info on future course dates. Once you purchase via PayPal we will use your PayPal email address to contact you with further course instructions. Please make sure this email address is the correct contact for you. If not, contact us. Thx! 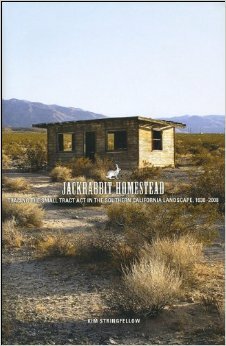 Description: Join us in Joshua Tree to learn the basics of buying a fixer-upper homestead cabin, distressed house or even raw land. * This workshop is perfect for those of you looking for your dream project — a vacation, retirement or full-time home in the desert. Come even if you’ve already bought something—you’ll get insight and ideas to help you get the most out of your new property. In this introductory 2-hour workshop, we’ll cover purchasing — including direct-from-owner, and County “tax sale” auctions — as well as the challenges and opportunities of renovation in the desert. You’ll come away with immediate action items, and we’ll do a Q&A at the end of the session so you can ask questions related to your unique situation. Live your Joshua Tree dream! *Note: We’ll focus on finding cash-only deals well under $100k in the hi-desert areas of north Joshua Tree, Coyote Valley, Landers, Flamingo Heights, Wonder Valley and 29Palms. Instructor: Stephanie Smith is founder of JT Homesteader, one of the area’s most successful vacation rental businesses. She studied architecture at Harvard (M.Arch 1997), and currently owns seven properties in the Coyote Valley area of Joshua Tree, debt-free. She’s been buying and developing real estate since 2002.